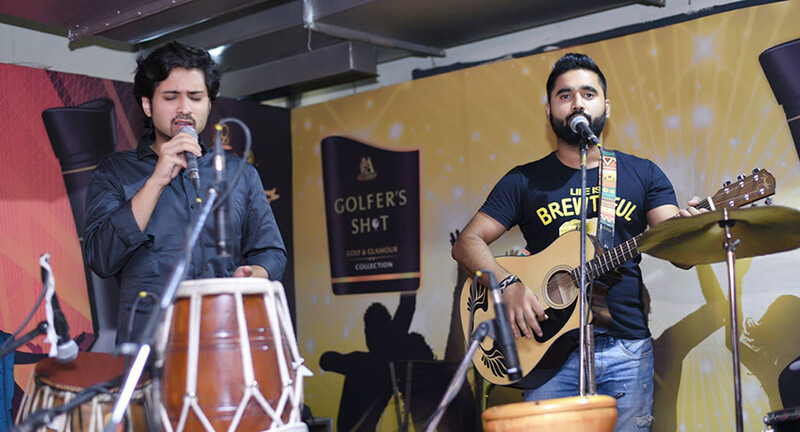 Who knew that Gurgaon, the land of all things corporate and professional, would transform into an exciting hub for freshly brewed beer, and more importantly, awesome live gigs! 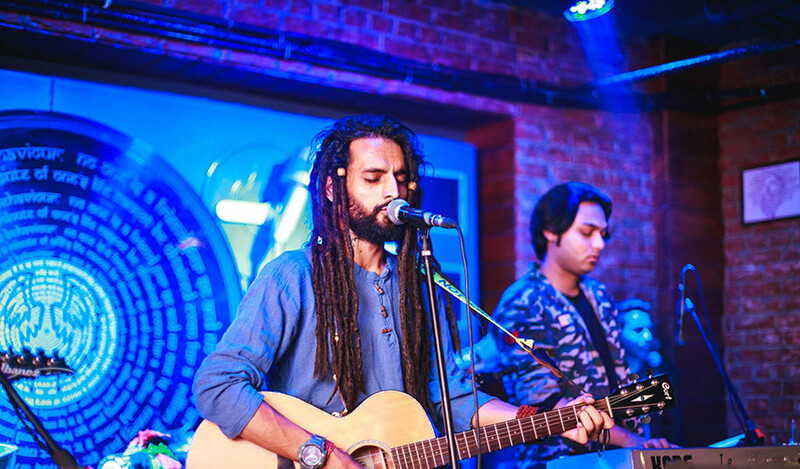 Now that G-town has burgeoned into one of the most happening places, it’s quite a task to choose a haunt to go catch some live music at, isn’t it? And to aid you all that we can, we’ve drilled down a list of some great places that host live music gigs on the regular! 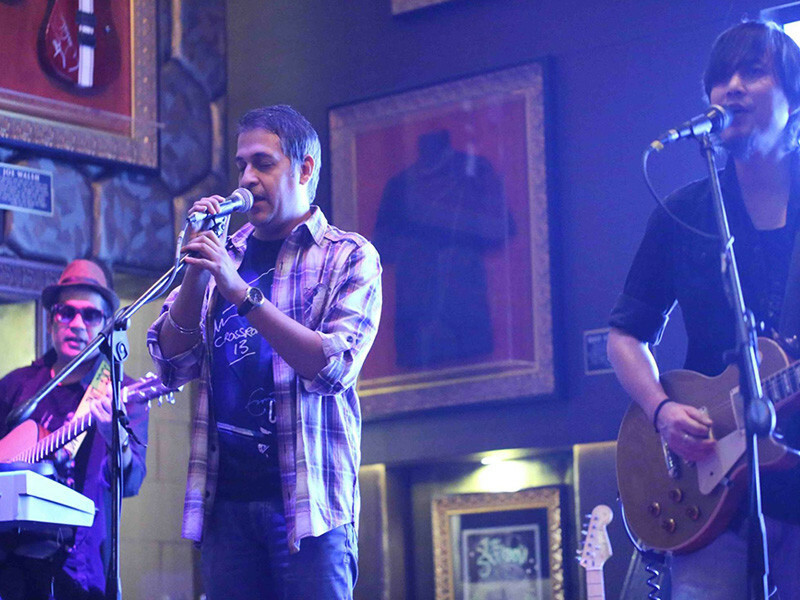 The most popular name and the first one that pops in mind when we say ‘live gigs’ is Hard Rock Cafe! 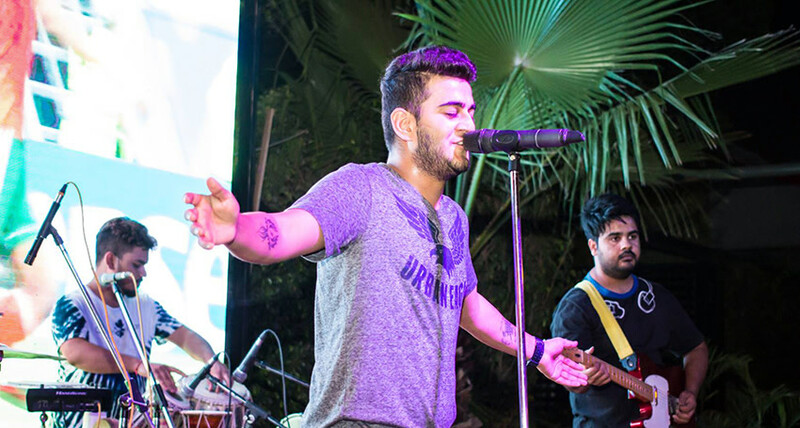 HRC Gurgaon has more standing room than its Saket counterpart and can even accommodate more people on its upper level, which has a 270 degree view of the stage. On Thursdays and Sundays, they have live band performances and trust us, after chugging few drinks, you’ll dance till your feet hurt here! These guys take their name very seriously! A wooden staircase leads the way to a narrow basement where you can see a few tables tightly placed, and a dimly lit stage which is just a mere elevation with a single spotlight building drama in the place. Located far away from the corporate crowds, this place is very selective in their choice of performers, and only the very best take the stage here. They do live music performances on Wednesdays, Thursdays and Saturdays. So, when you head here for a gig, do try their cocktails mixed by the finest in the business and you’ll have yourselves an evening to remember! 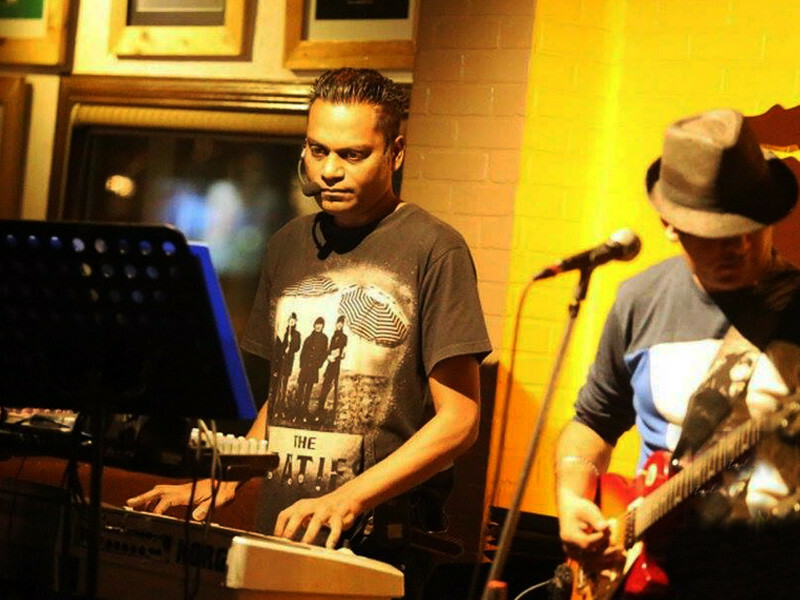 Head to Farzi Café, another popular live music venue in Cyber Hub! 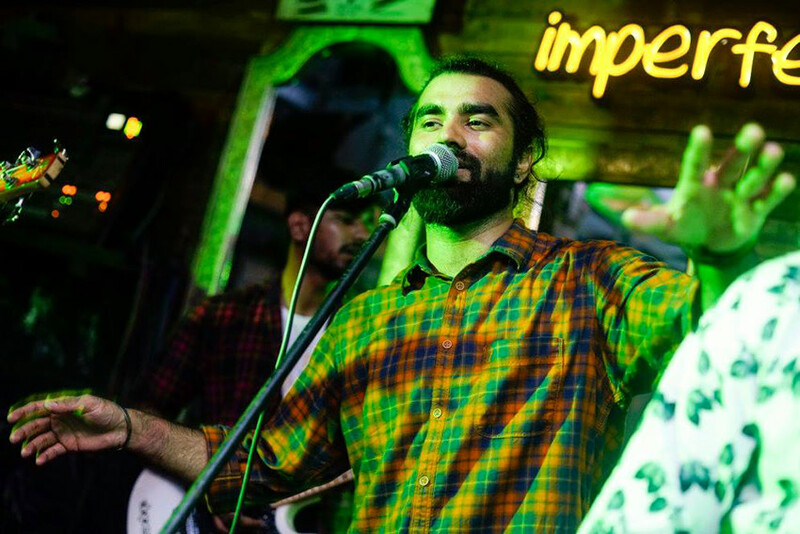 This place has hosted quite a few popular Indian acts from across genres like Ska Vengers, Faridkot, Dualist Inquiry, Hari and Sukhmani and Karsh Kale, along with some interesting collaborative performances like metal act Colossal Figure‘s drummer Rijul Victor and DJ Sandee. Together with an innovative bar and kitchen, Farzi makes for a great addition to any weekend itinerary. So, head here on Saturdays for peppy live music gigs! Bringing together the charm of a pub and a brewery, Factory By Sutra is one of our fave places to chill with the squad when in GGN. 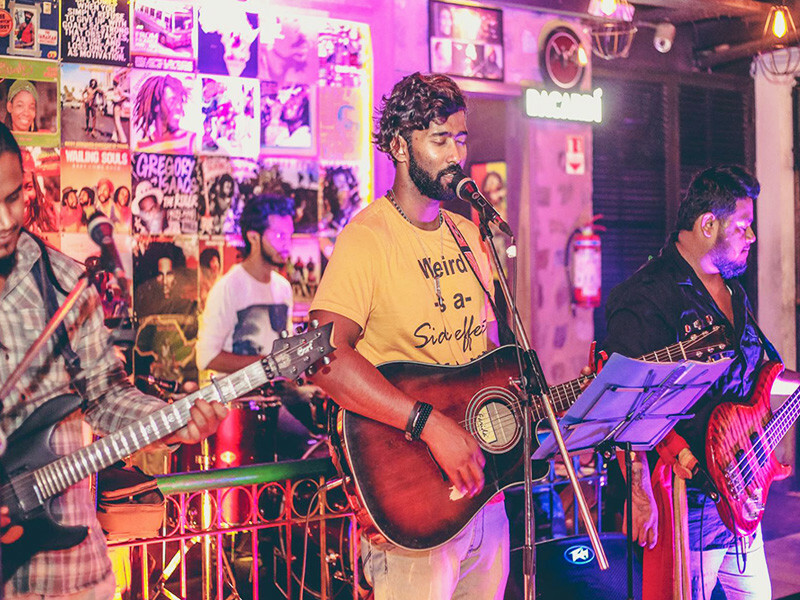 Plus, this place hosts live band performances every Thursday, where you can unwind in style like a boss, enjoying the soothing as well as peppy music. Come drop by for boozy tipples with a side of mellow music! The house of all things rastafarian, this resto-bar forever emits an exhilarating, chiller vibe and hosts groovy gigs! 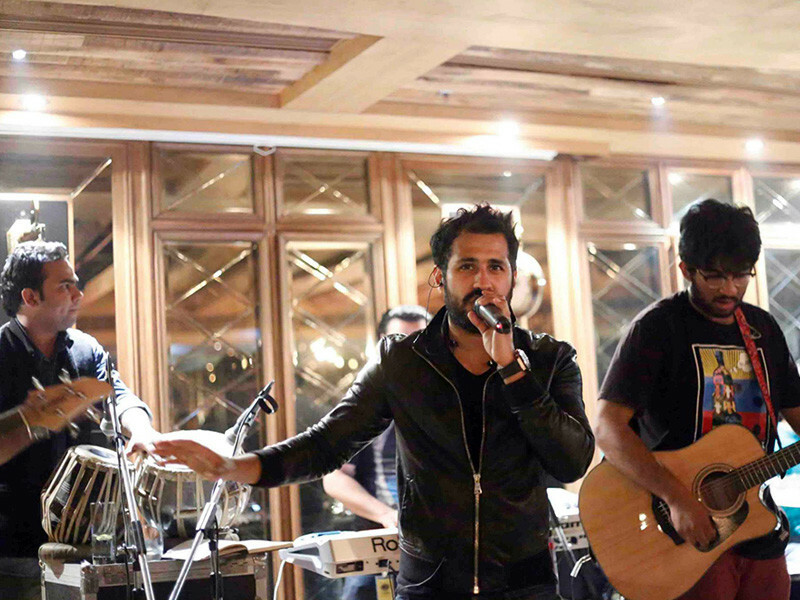 Apart from their wondrous Ladies Nights, Bollywood Nights and more, they host crazy band nights on Tuesdays that are to die for *starry eyed*! To top it all, they also frequently orchestrate Karaoke Nights for y'all, which, we’re told, can be quite fun, so defo come on by! Bottles and Barrels offers delectable world cuisine in the lap of a pretty lavish ambience. They host vibrant live music sessions on Saturdays to help you enjoy your weekend and throw the weekday worries outta the window! Along with music, they offer delectable bar bites like Veg Keema Maska Pao, Mushroom Volvos, Bhutte Ke Kebab, Chilly Prawns and more. Let's just meet up there then, shall we?! Now this one's a microbrewery that serves fully-matured and delicious German beer and has a gorgeous open terrace for you to chill at. It’s not just their beautiful ambience or the open skies that lures us here, but also their live music performances on Wednesdays, Thursdays and Saturdays. So, head here all ya corporate junkies for a relaxing, fun night! 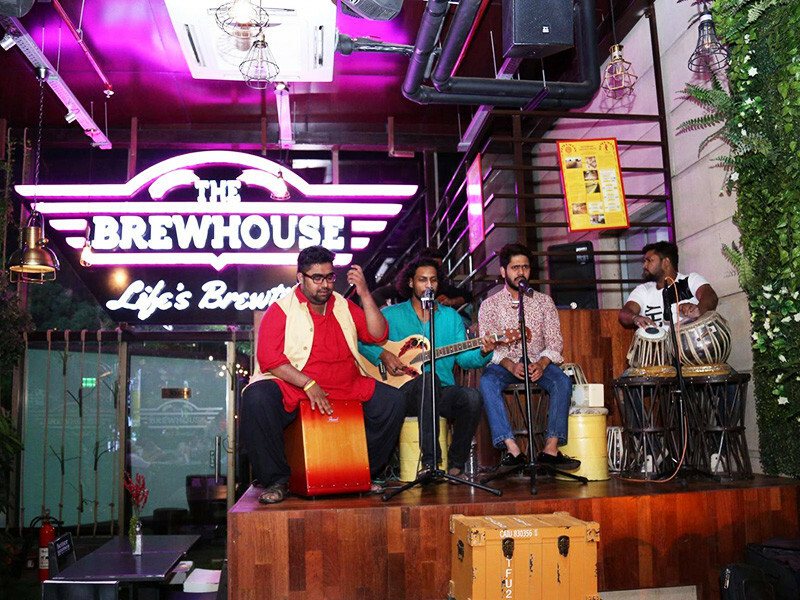 One of the most chic places to chug beer in town, The Brewhouse, located in the plush and premium Fortune Select, has a lot to offer than just thirst-quenching beer and tempting food. It's always teeming with elite crowds and crazy performances in the backdrop of an elegant and luxurious ambience. They host live music nights every night except Tuesdays and the vibe here is super chiller! 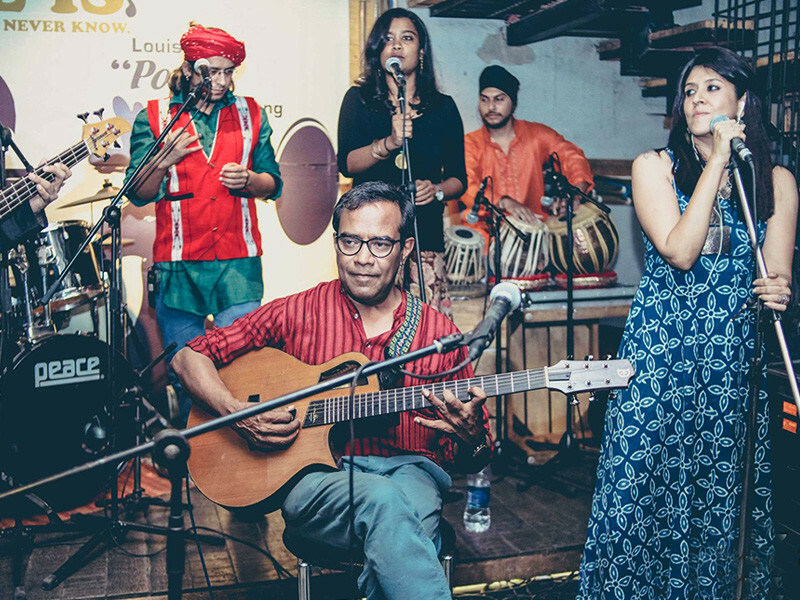 Artists who have performed here include Dhruv Sanghar and Amrapali Soni, among many others, so head on over! For all beerholics, Molecule Air Bar is definitely the pit stop to make every weekend. These guys have impressed GGN peeps not only with their delish grub and brew, but the ambience as well. For post work chilling, you guys gotta head here and enjoy live music on Wednesdays and Sundays. Gather the squad, post on that WhatsApp group and troop on over! The Clock Tower is another joint in GGN which is a beer-centric and heavenly paradise for all the booze-o-holics. Also, if you guys wanna start the weekend early, then head here on Thursdays (every alternate one) and loosen up while listening to talented music artists performing here. While you sit and unwind here, order up yummies like Aloo Tikki, Crispy Fish Burger, Spinach Pizza and more delectable delicacies! 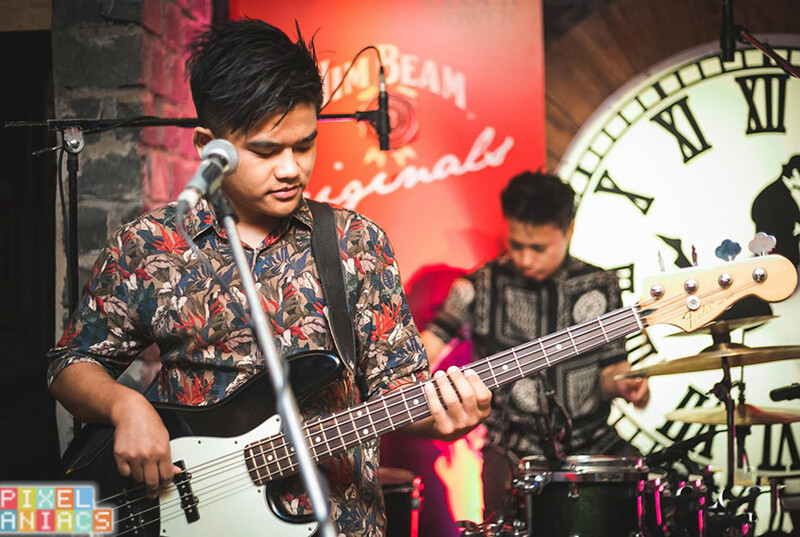 If you guys are hunting for a place where you can chill with your colleagues after a stressful day at work, then you’ll be glad to know that Imperfecto hosts live music gigs on Wednesdays. This is a cutesy date place as well, as the ambience here is very vibrant and colourful. 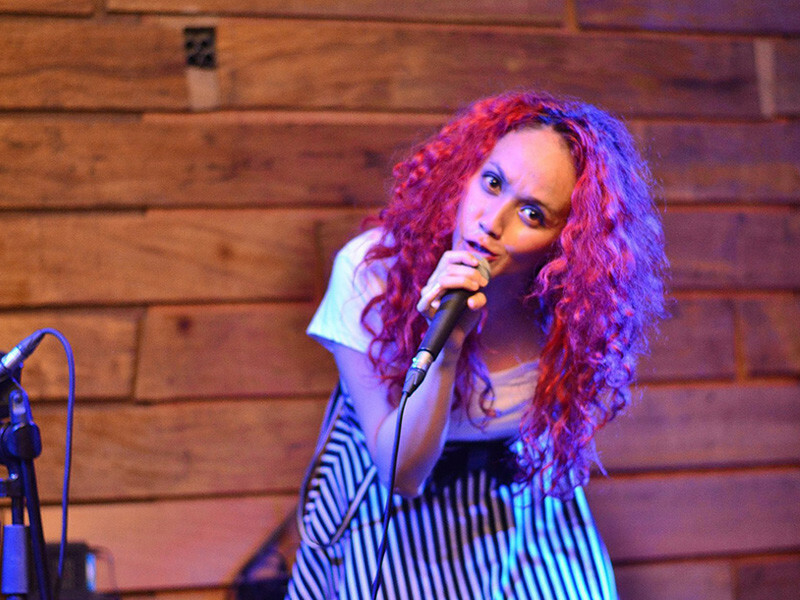 Apart from Wednesdays, you can also sway to live music on Sundays. Come drop by and swill back endless glasses of their potent white wine sangrias with a side of live music! Ministry Of Beer is every beer fanatic’s fave place to hangout at in G-town! They serve draught beer as well as regular joe beer brands like Kingfisher Premium. This place hosts live music sessions on Wednesdays, Fridays and Sundays, so head here and have a fun evening chilling with your gang! 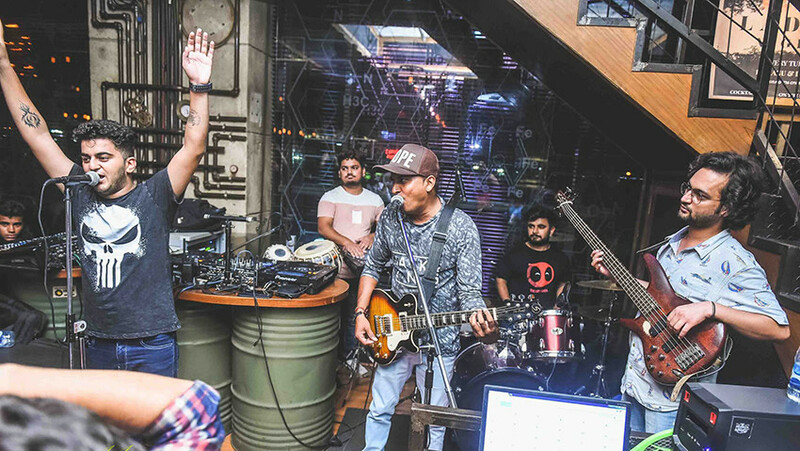 Sutra Gastropub is one place in Cyber Hub which is immensely popular for keeping the crowd super happy when it comes to live music nights. These guys host live gigs on Tuesdays, Wednesdays, Saturdays and Sundays. To keep yourselves happy high all night, order up their Indian Soul, Cosmopolitan, Margarita and lots more. Come swing by! So, make a visit to all these places and enjoy some amazing live music!